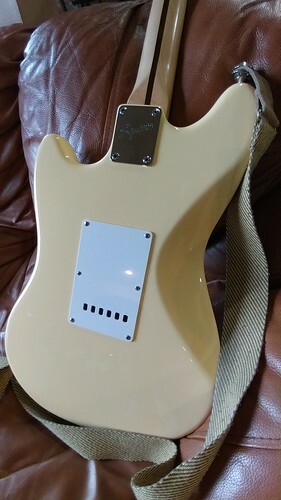 I had a Texas Special neck pickup around and an Atomic Humbucker so I figured I would make it like the MIM stock guitar. It sounds excellent. The combo is really nice. 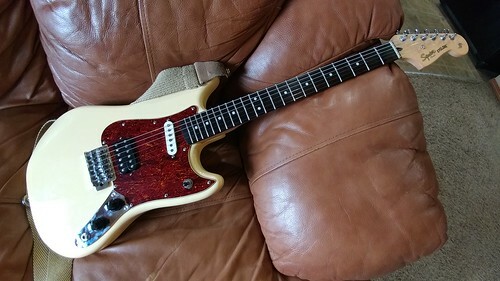 The best part is when you put both pickups on, the sound is different and good. 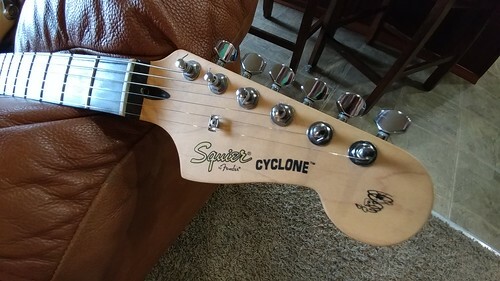 A lot of the times when you combine a single coil with a humbucker the sound can be meh, but this is a really good sound. 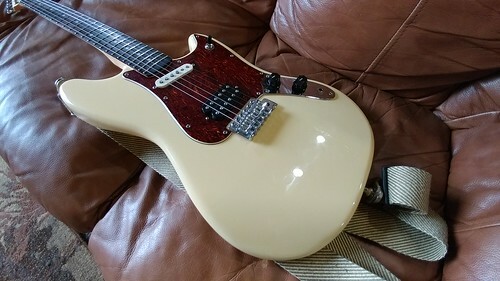 Both pickups also sound excellent on their own and are not super expensive either. 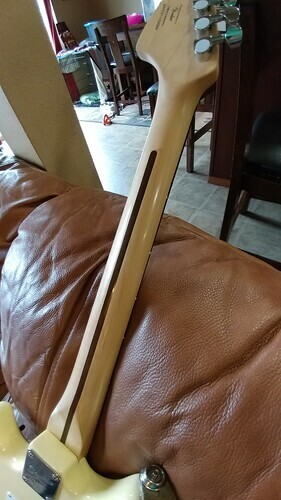 The neck has a thin finish. 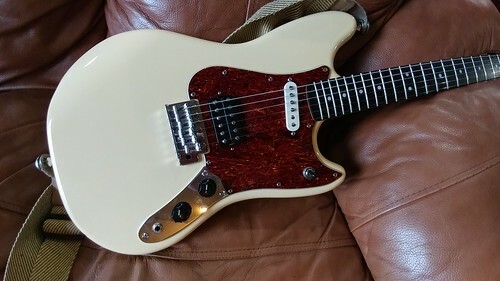 Not matte like some of the Squier necks, but not thick gloss like the classic vibe ones. 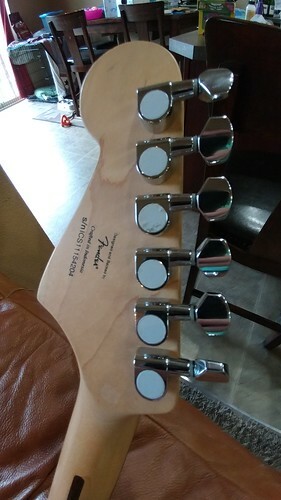 Stock tuners are fine and could be easily replaced if I wanted to. They work fine so I don't see why I would change them. The color is pretty much like vanilla. Not yellow, not white, but kind of in between. The pickup change was super easy (there is a swimming pool rout under the guard and it is fully shielded with paint) and cheap. 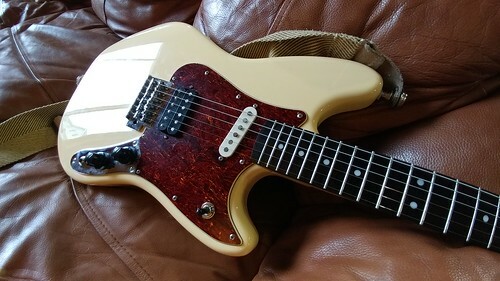 Makes this guitar just as good as my Mexican one, but for much less money. 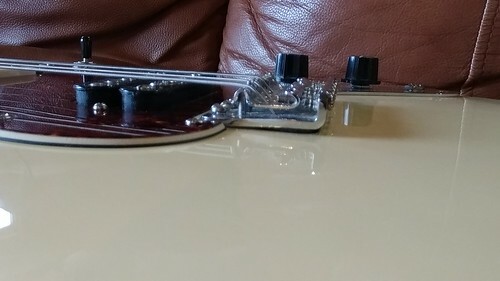 tort pickguard win. looks good. the color is called Vintage White. 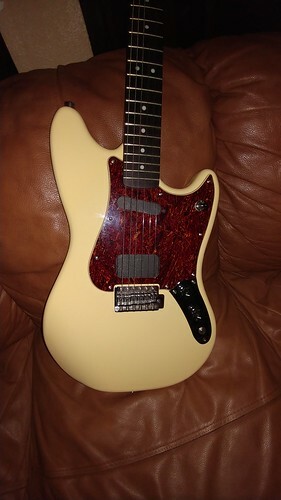 I dig it over the yellowed white you can get on Japanese Fenders. Theirs are too much yellow for me. 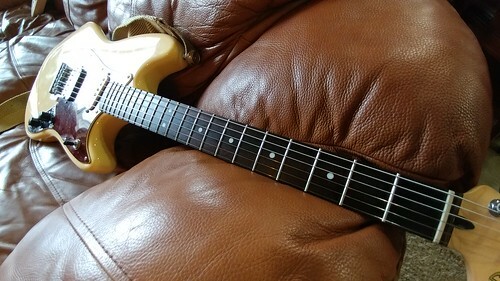 my av jag has begun yellowing, loev it.